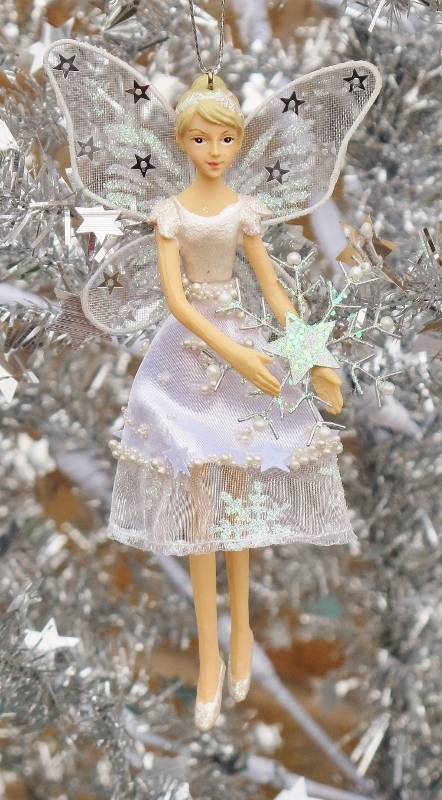 Gisela Graham frost fairy Christmas Tree decoration. Beautifully crafted from a highly detailed resin fairy. The fairy is adorned in a white dress, embellished with sparkly beads and sequins, she holds a snowflake decoration in her hand and is finished with glittery frosty wings.